most out of life. Originally published in 1928, the book continues to inspire generations with its chief aim: “to organize the world’s first philosophy of personal achievement." As suggested by world-renowned entrepreneur, industrialist and businessman, Andrew Carnegie, Napoleon Hill started his bok as a correspondence course in several volumes. 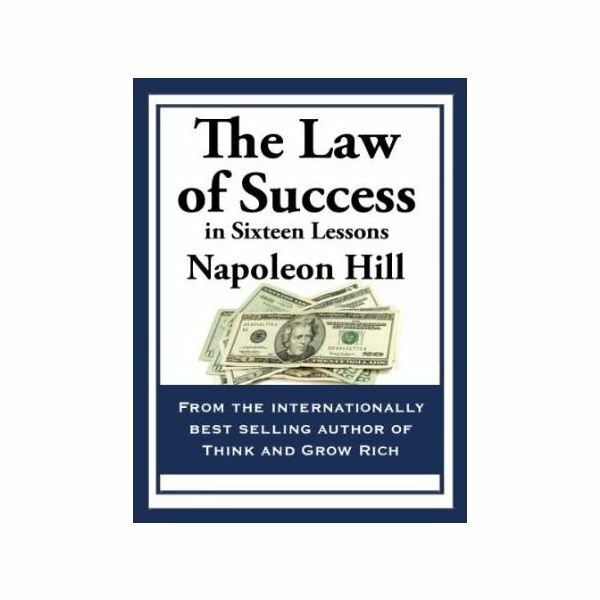 Interviewing more than 500 millionaires all over the United States over the course of 20 years–including Henry Ford, Edwin C. Barnes, Thomas Edison and a lot more world-famous “giants"–Hill came up with the original 16-lesson book. It then evolved to another lesson for the 21st century update, as well as a 15-lesson read published in 2008. 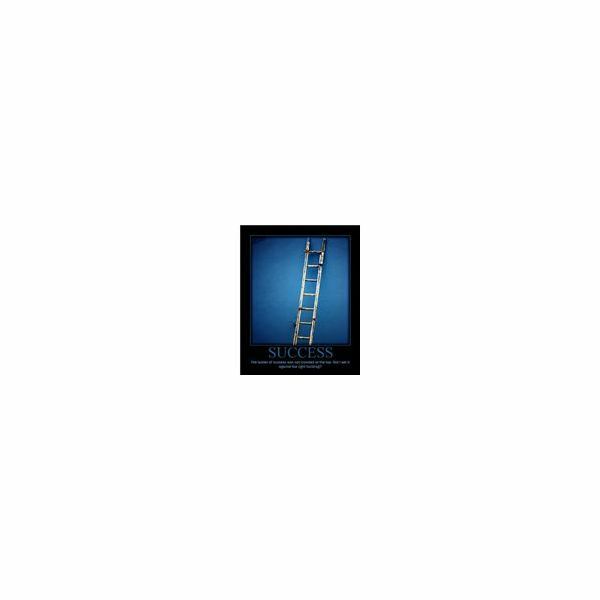 Geared toward identifying one’s ultimate goal in life, the student is expected to take away the valuable lesson of determining his main objective (may it be in a given career or in another field). Through the power of auto-suggestion, the reader can also bring to focus his desires — seeing to it that his thoughts are guided accordingly by the sole objective he has in mind. The second lesson from "The Law of Success" calls to mind the importance of self-confidence. As fears are thought of by the author as the main cause of failure and poverty, the student is encouraged to eradicate them. He then mentions man’s six basic fears: old age, loss of love, poverty, criticism, ill health and death. Again, Napoleon Hill stresses the importance of organized knowledge and autosuggestion to develop self-confidence. The author emphasizes the power of saving through the third lesson. Believing that this habit can be learned through time and through control, he encourages readers to avoid living beyond their means. In so doing, they will be avoiding the pitfalls of debt. Focusing on the two important qualities a leader should have, these next principles enable the leader to do what needs to be done without being told. Also equipped with the aforementioned qualities from the previous lessons, he will be able to avoid procrastination. Likewise, this shall require auto-suggestion and a definite chief aim. With imagination, every lesson in this book can be mastered. Dr. Hill also believes that daydreaming can be useful. It can eventually lead to more profitable actions and accomplishments. With imagination, the author proposes that readers rearrange ideas into new blends. Imagination topped with effort will result in utmost achievement. Enthusiasm, according to Napoleon Hill’s book, is "a state of mind that inspires and arouses one to put action into the task at hand." It is also known as the most vital aspect in public speaking and sales. With its contagiousness, it goes viral–spreading from one person to another. Thus, master salespersons have applied this principle and are able to sell themselves and their products as well. This next lesson is in tandem with the previous one. Because enthusiasm can be viral, without self-control, the sixth lesson can soon destroy property and life. Hence the author urges the student to control his mind–that even though he is enthusiastic, he will still be in the right mind to perform the right actions. The eighth lesson, focusing on the habit of doing more than paid for, is aligned with working on one’s passion. It pushes the reader to do something because of love. Although money can be a driving force too, still, nothing compares with the happiness brought by one’s love for his work. The ninth lesson deals with having a pleasing personality that attracts people and other positive forces. The author also stresses the importance of building one’s character along the process. Pointing to the great impact of focusing on the other person rather than on oneself (especially during dealings), this principle can definitely do wonders. One of the most difficult to attain, this principle refers to the careful analysis of facts leading to decisions. Believing in the power of “creative thought," thereby resulting in “infinite intelligence," Hill also proposes that the reader still makes use of autosuggestion. In turn, it will gear the subconscious mind to direct the body to work on intelligent actions. Highly regarding the selection of environment, the author suggests that the student focus on the previously mentioned principles and form good habits. Aside from this, the student is encouraged to gain self-mastery, organized effort and effective utilization of the mind. This next lesson then focuses on the importance of cooperation as it leads the reader to success. Reiterating on the way successful businesses use cooperation to attain their goals, it also shows how this applies to individuals. Hill thereby believes that no one succeeds alone. The 13th lesson deals with the importance of recognizing defeat as a path to success. Considering setbacks as temporary, the author encourages the reader to develop a sound character by looking into his failures as blessings. Lesson 14 mainly deals with the power of tolerating beliefs and lifestyles (without being judgmental). With this lies Hill’s urge to let readers reflect on the foundation of their beliefs. He hopes that they be sound and based on truth. This also addresses the importance of organized effort. In this concluding lesson, the Golden Rule basically caps the previous lessons by reiterating the importance of considering one’s thoughts and actions according to how the reader wants to be treated. Eventually leading to a positive mind and character, this principle regards good deeds in a bright light and teaches that whatever is sown will be reaped. Out of these 15 principles, the reader should be aware that the “Master Mind" concept is at work. Throughout the book, Hill emphasizes the importance of harmony and organization, topped with cooperation to achieve a single chief aim. Thus, as one reads each lesson, the reader will be able to encounter simultaneous mentioning of this principle. As you read this book you can let yourself fall in sync with Dr. Hill’s ultimate goal. As you consider this as your personal workshop to success, you will continuously grasp the concepts presented here and brood over them throughout my day-to-day experiences. Although more than 80 years have passed since he wrote this book, its principles withstand the test of time. Making use of the real-life encounters of the giants mentioned earlier, he makes it clear that these success principles are derived from many years of research and observation. Thus, the student (the reader) can most likely expect the same results by applying these same principles, once done right. Universally applicable to anyone, Napoleon Hill’s “The Law of Success" can serve as one’s personal workshop to success. Whether the reader is a salesperson, writer, manager, health practitioner, etc., this book can serve a great deal. With the basic ideologies it proposes, basically gearing the mind to positivity, the author hopes that readers find their “Calumet Mine."